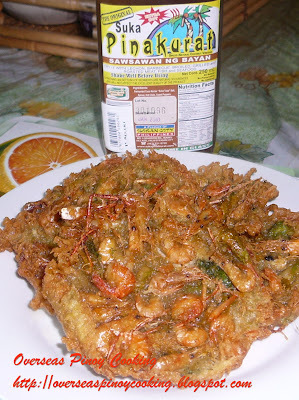 Ukoy, Shrimp Fritter. 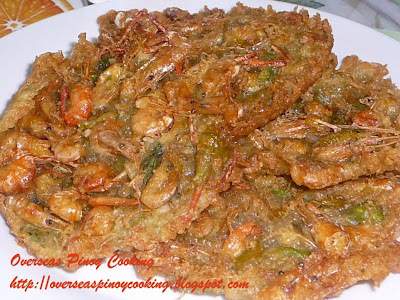 Ukoy is a traditional dish made up of small shrimp in flour/cornstarch/egg batter deep fried into fritters. The patty of good ukoy should be really crispy on the outside and succulent in the inside. This is defendant with the use of flour and cornstarch on the batter. I wouldn’t recommend substituting it with just beaten egg otherwise you end up with a torta dish. Ukoy should be eaten right away once cooked. The best ukoy that I had are the ones sold under the bell tower of Saint Paul’s Cathedral up North in Vigan City. They are sold as street food alongside the equally popular Vigan empanada. Well we can't always travel up North then try to cook them yourself it is fairly easy. I used the fresh water shrimp, it is called ulang at our market they are suitable for ukoy because of their extended clamp compared to the normal shrimp. When fried they are very crispy, how ever you could always use the regular shrimp if they are not available. The bulaklak ng kalabasa is an option they are in bloom when I cooked the dish few months back together with my post on jumping salad and guinataang hipon tabang. Enjoy. In a bowl mix flour and cornstarch, dash of salt and pepper. Blend in the beaten egg and 1 1/2 cups of water until a smooth batter is produced. Add in shrimp, spring onion and squash flowers mix thoroughly. Heat about 2-3 cups of oil in a wok. Using a soup ladle scoop about 1/3 cup of the shrimp batter mixture and pour into the heated oil. Fry one scoop at a time flip once the bottom turns to golden brown. Fry until crispy and golden brown. Remove from wok and drain on a paper towel. Serve with vinegar, crushed garlic, salt and pepper dipping sauce. 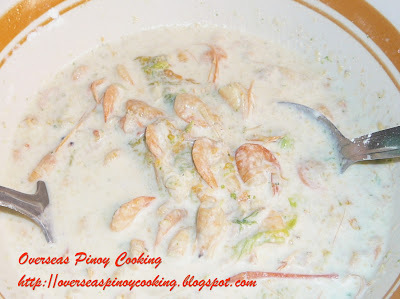 See other related ukoy recipe. I just love all recipes with shrimp in it. 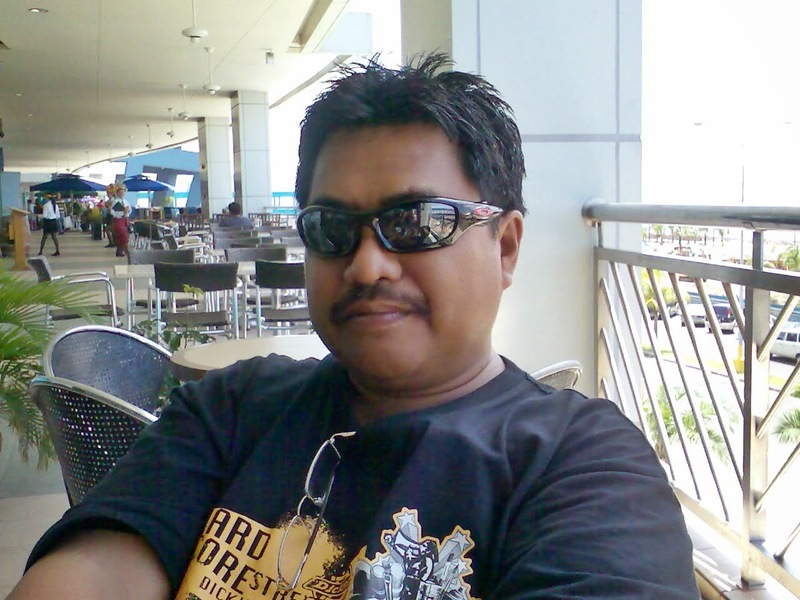 And ukoy is one of them. I can't help but feel good after soaking it in a bowl of vinegar. Yummy! I couldn’t agree more, It really make any one crave for it.